Spread the truth:956 956SharesMisMatch. 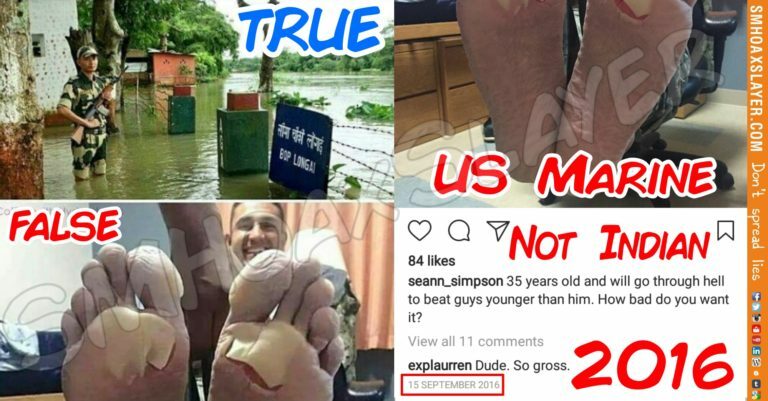 This set of two photos is viral claiming the feet belongs to the BSF Jawaan standing in … Continue reading MisMatch. The feet is not Indian.